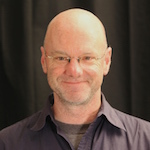 This article argues that far from becoming morally rudderless secular citizens, many religiously unaffiliated people are seeking ways of forming meaning and identity as well as opportunities for service (through groups like Laundry Love, above) that they weren’t finding in traditional religious institutions. For starters, lumping atheists and secularists into the same category as agnostics and religious “nones” — those who don’t consider themselves atheist but still check “none of the above” on religious identification surveys — makes sense only if you think that everyone who says “no thanks” to organized religion is doing so for the same reasons. And that’s just not the case. Atheists shun religion because they don’t believe in the supernatural, regardless of whether that term is used to refer to gods, ghosts, karma or witchcraft. They point to human reason rather than divine revelation as the source for moral codes of conduct. On the other hand, most of the “nones” — whose ranks are growing much faster than atheists, according to Pew Research Center surveys and who account for the lion’s share of the religiously unaffiliated — are leaving organized religion for very different reasons. They tend to describe themselves as put off by what they see as institutional religion’s rote ritual, polarizing politics and disengagement from the needs of those who are economically marginalized in their communities. So when Brooks argues that “secularism has to do for nonbelievers what religion does for believers — arouse the higher emotions, exalt the passions in pursuit of moral action,” he’s actually talking about the tiny fraction of nonbelievers in the religiously unaffiliated group whose numbers have sharply risen. More to the point, he’s also overlooking the fact that the “nones” are leaving organized religion precisely because, in their view, many religious institutions are no longer doing a good job of arousing those emotions or exalting that passion for moral action. In my reporting on service-oriented multifaith groups in Southern California, I’ve had a chance to see these trends playing out firsthand. Named after Thomas, the doubting disciple of Jesus, Thom’s radically reimagines what it means to be a church. For one, it has dismantled the traditional Sunday worship service. For the past three years, Kassoff and the other Thom’s members have poured that energy into the group’s monthly Laundry Love event, during which they gather at a laundromat in Huntington Beach to do laundry for the homeless and the working poor. As Kassoff put it, “For Thom’s, Laundry Love is church.” And they are not alone. 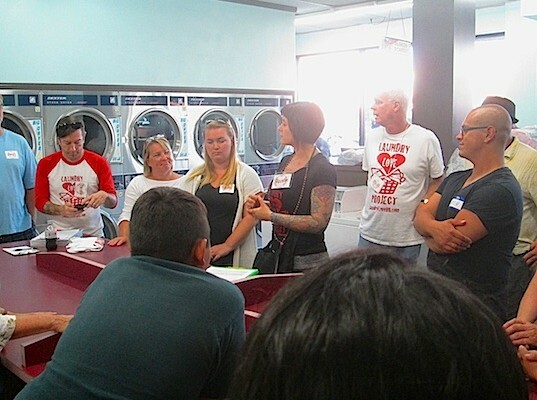 In the decade since its inception in Southern California, Laundry Love has become a nationwide movement and includes 100 participating laundromats. This growing passion for service is apparent among many of the “nones” I’ve met recently. Some of them, like 30-year-old Abraham Booey, participate in multiple service groups in order to get an altruistic fix. Booey, who describes himself as “spiritual but not religious,” is a service junkie. He volunteers with Share-a-Mealand Monday Night Mission, organizations that help feed the homeless on Skid Row in downtown Los Angeles. Last year he organized Down but Not Out, a service-oriented Meetup group. This is exactly the kind of morally inflected emotional experience that Brooks apparently believes religiously unaffiliated young people will not easily find outside the doctrinal boundaries of organized religion. But as with Booey, many of them are leaving those theological confines because they feel they must seek those experiences elsewhere. According to a Pew survey published in September, more than 70 percent of American adults say that religion is losing its influence — and most of those surveyed believe that’s an ominous development. 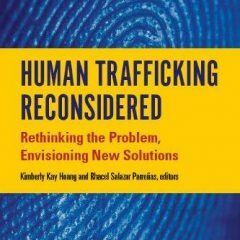 But the news of organized religion’s declining influence trades on the discredited idea that people who leave religious institutions become secular citizens who are no longer interested in any form of religious practice or experience — or in the expressions of compassion and altruism that most believers place at the heart of their faith. In fact, over the past decade, as half of all adults have switched from one religious affiliation to another and 1 in 5 has left organized religion altogether, service-oriented groups have begun to flourish. Multifaith and religiously unaffiliated service groups are arguably thriving because the ritual and social priorities of many religious institutions are driving away people such as Kassoff and Booey. This trend is apparent with Monday Night Mission, which over the past two years has grown from a handful of volunteers gathering on Mondays in downtown L.A. to a regular crew of roughly 300 spread across five nights a week. Meanwhile, membership in mainline Protestant and even evangelical congregations continues to decline. Brooks believes that the “nones” who are abandoning those pews are part of a “mass secularization” movement that is morally rudderless. He is wrong on both counts.